Decision-making is at the heart of governing and governance, and is a more challenging task compared to just a few decades ago as a result of increasing social complexity and globalization. In this book, B. Guy Peters and Jon Pierre propose a new framework for the comparative analysis of governance, arguing that government remains a central actor in governance. By articulating the functionalist dimension of governance they show how goal setting, resource mobilization, decision-making, implementation and feedback can be performed by a combination of different types of actors. Even so, effective governance requires a leading role for government. 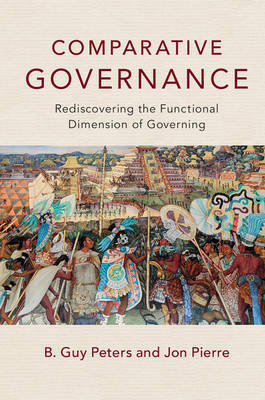 The framework is also applied to a taxonomy of governance arrangements and national styles of governing. Comparative Governance advances our knowledge about governance failure and how forms of governance may change. It also significantly strengthens the theory of governance, showing how governance can be studied conceptually as well as empirically.